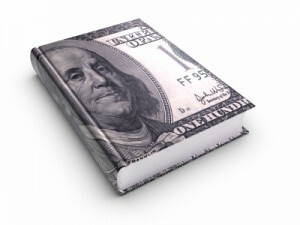 I am starting a new series that has one simple goal for authors…SELL BOOKS! After all, you need books sales to survive. I know you love reading and writing, but you need to earn money, because this is your career! Depending on what genre and audience you write for, your Book Kit should be sent to people that have the influence to promote and sell your books to others. For example, let’s say you write for children, middle age students, teens. You can send a book kit to individual teachers, or the principal. Another example is if you are a romance author. You could send your Book Kit to single groups around the country. Or if you are a vampire/fantasy author, you can send your Book Kit to vampire groups. If you are an inspirational author, then you can send your Book Kit to a women’s group, or men’s group at a church. Your Book Kit should have the potential to create hundreds of book sales and include information to benefit your target audience. Talk about the Book Kit in two quick sentences, then list all the items that are in the Book Kit. Also, you put your contact information and short bio. This should be a one page sheet with tips to benefit your audience. If you are sending it to schools, then give reading and writing tips. If you are sending it to singles groups, then give romance tips. If you are sending it to vampire groups, then give advice on discovering vampires. If you are sending it to a women’s church group, then give inspirational tips. The goal is to find some way to help your target audience. Put on your journalist hat and write an article about your story. Keep it entertaining and limit it to one page. Your article does not have to be true. You can write a fictitious article to entice your audience. Your story should have an amazing start that will hook the reader. Print out the first chapter, or first five pages, whichever is shorter. List ten items that a group of students, or adults can discuss. The topic discussion should be based on your book, however, do not use detailed character or plot questions. The group should be able to use that sheet without reading your book. Your goal is to give them something to get them talking. If you get them talking, you will get them reading. Write up a one page interview, asking and answering your own questions. The trick is not to make the interview about you. Instead, every question or answer should benefit your target audience. Do not ask a question like, “What inspired you to start writing?” The Book Kit is for your audience, not for you. This should be a one page sheet with the best testimonials you can muster up. If you do not have any testimonials, then you should not be sending out a Book Kit just yet. This should be a glossy page with your book cover and short synopsis, along with web site, social media sites, and anything to make you look good. It could also be a picture of your main characters. You can use a business card, or bookmark for this. If you do not have either of those, then your contact information on the cover sheet will do. Place all these items into a nice folder, then a large envelop addressed to the teacher, or head of a group. If your Book Kit benefits a classroom, or group of people, then book sales will follow. Note: Do not spend more than $2.00 per Book Kit for your printouts and folder. And send only to places where you have the opportunity for at least twenty book sales.